Are you ready to dance yourself into shape? That's exactly what the Zumba® program is all about. It's an exhilarating, effective, easy-to-follow, Latin-inspired, calorie-burning dance fitness-party that's moving millions of people toward joy and health. CONTACT US FOR YOUR FIRST FREE ZUMBA CLASS! Please Call our Zumba Line at (204) 951-2944. We are available by phone from 9AM - 5PM, Monday through Friday. 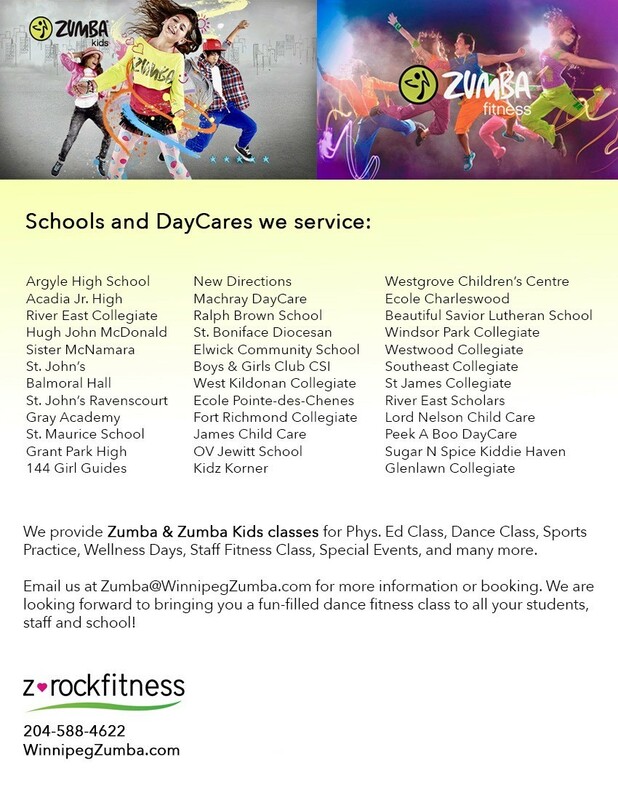 You can email us at zumba@winnipegzumba.com . All Drop-ins must be registered for the class in our booking system. Fees for the class will still be taken at the door. © Copyright 2012 Z Rock Fitness Inc.